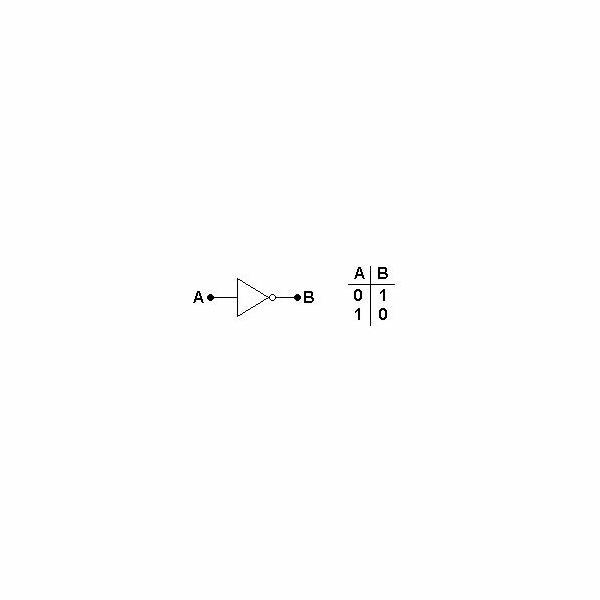 An AND gate gives a 1 or True output only and only if all the inputs are True or 1. If even a single output is False or 0, it will not give any output meaning thereby that the output will be False or 0. It can be very easily visualized that this type of gate can be compared to a small light bulb connected to a source of emf through a number of on-off switches. The number of switches represents the number of inputs of the AND gate while the lighting of the lamp bulb indicates the output as 1 or True. 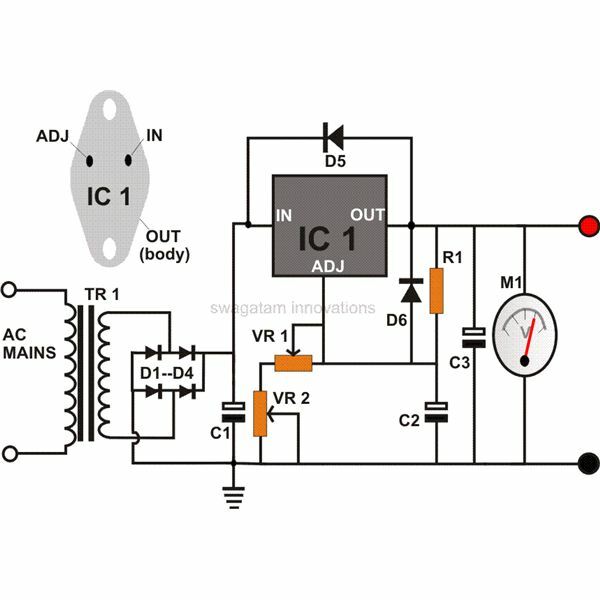 In such a circuit even if one of the switches is in the OFF position the lamp will not glow but it will only glow if all switches are in ON position. 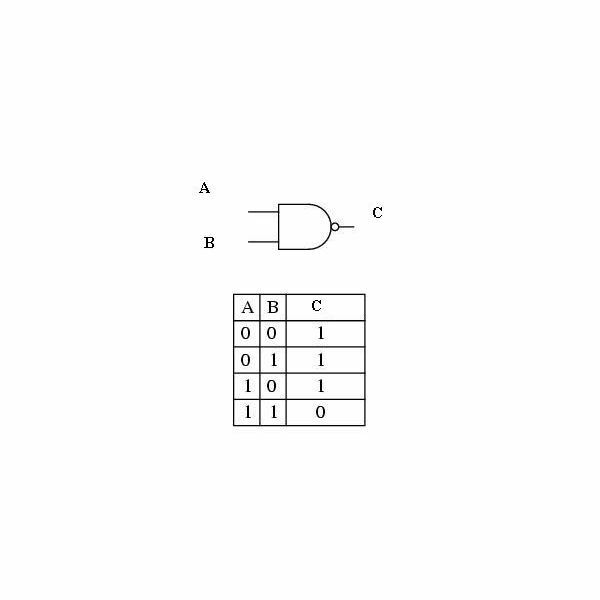 The symbol and truth table of this gate is shown in the figures below. 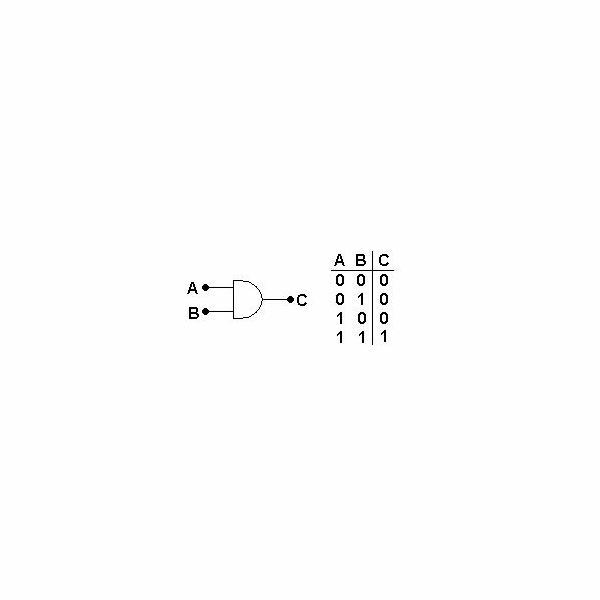 A NAND gate is quite the reverse an AND gate (hence the nomenclature) and gives an output of 1 or True only if both the inputs are not True or 1. 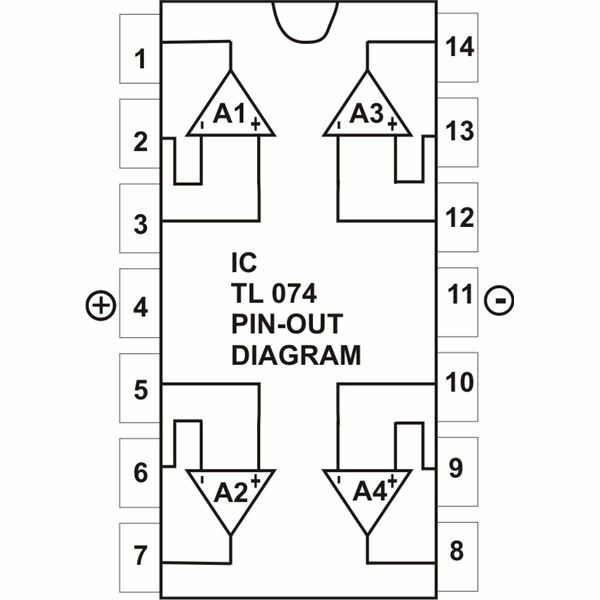 This means that even when both inputs are 0 or False, it still gives a True or 1 output. In the actual circuitry it can simply be fabricated by adding a NOT gate in front of an AND gate (NOT gates are explained in the next section) and the symbol and truth table for a NAND gate is shown below. A NOT gate is a special type of gate in that it has only one input and only one output. 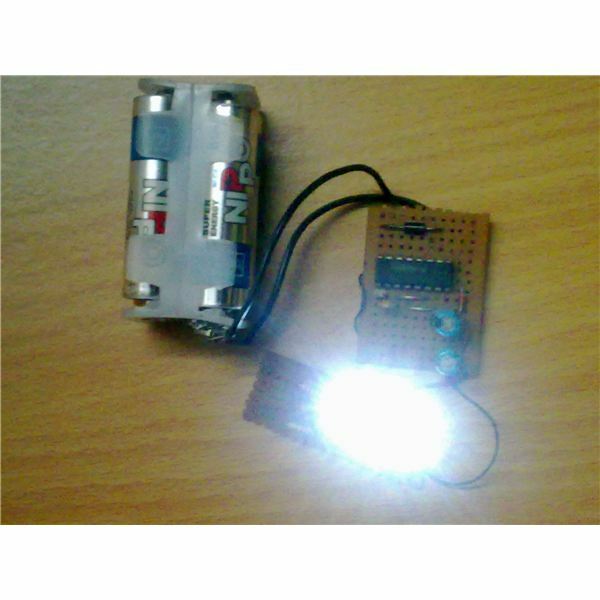 It is also known as the name of an inverter because it inverts or reverses the input. This simply means that if the input is False, the output is True and vice versa. 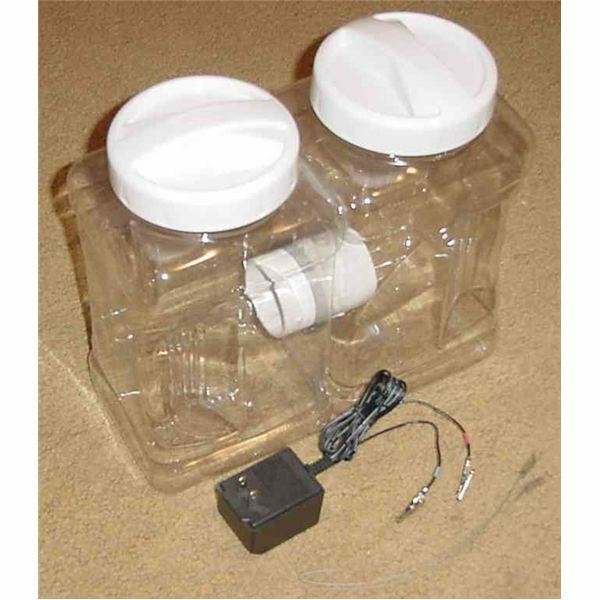 It is used in conjunction with other gates to negate or reverse their output when so required and in such cases, those gates whose output has been negated are also known as bubbled gates. The symbol and truth table of the NOT gate is as follows. 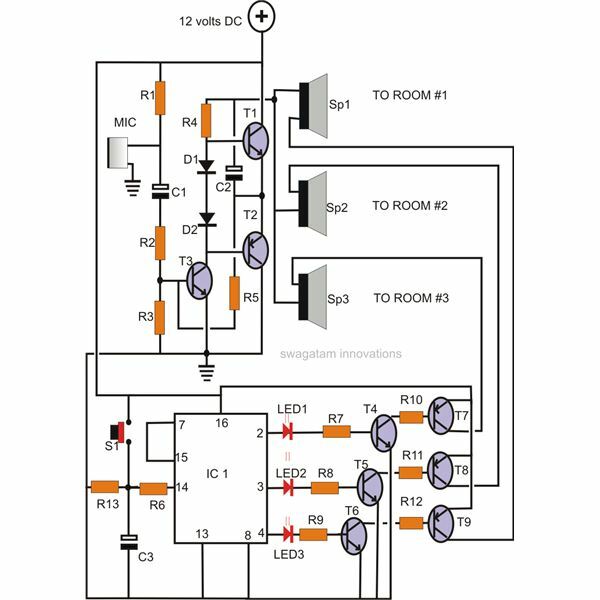 We have studied about quite a number of logic gates in this article and few other gates in a separate article. Now you might be wondering how these gates are used in actual applications. 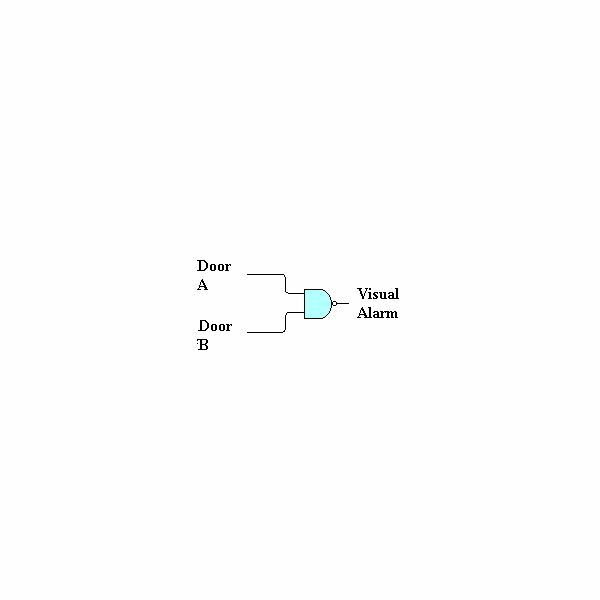 Well I will just describe a very simple decision making process in this article and we will study more complex applications such as the half adder and full adder in later articles. 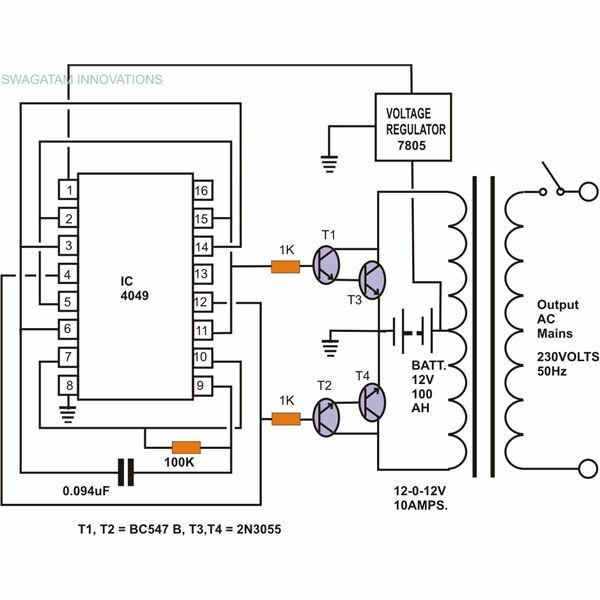 You can see from the figure that when any of the switches is open due to the door position, the NAND gate energies the lamp inside the car, hence warning the driver.